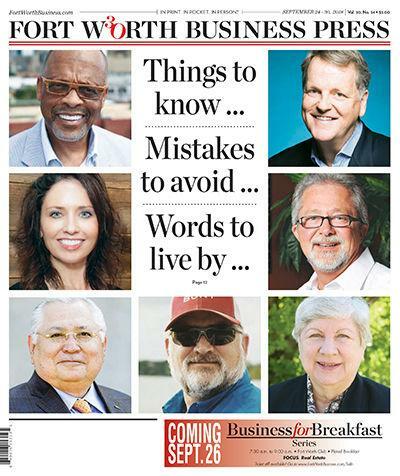 Designs for Living is often featured in local and national publications. Read about a few of these below. 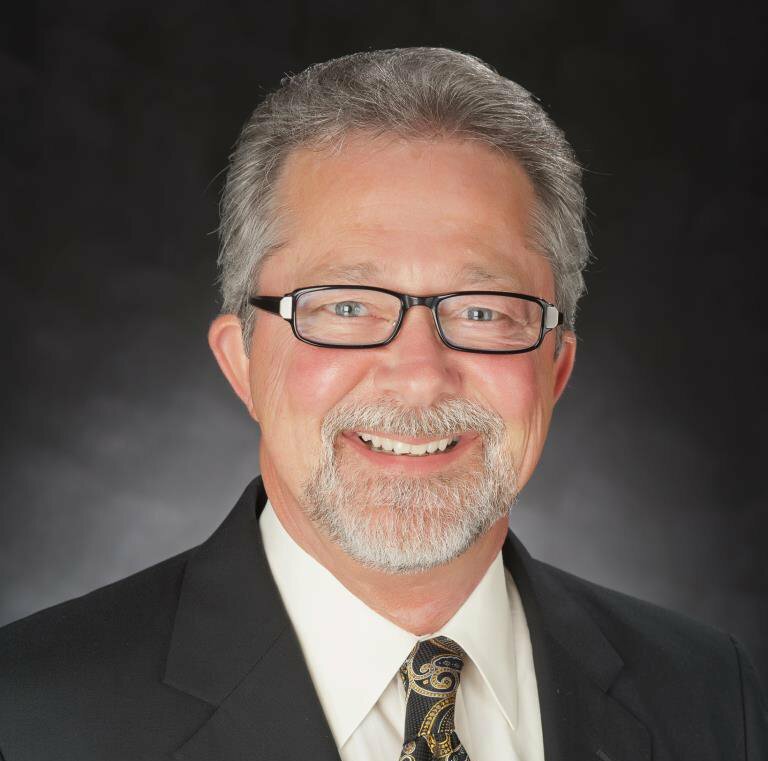 “I grew up in a family of self-employed folks. 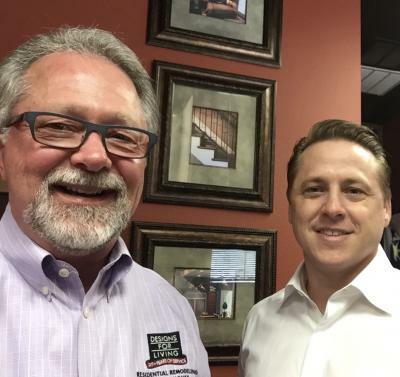 They owned many companies and I was taught the value of hard work and a work ethic.”, says David Goodroe, President/CEO, Designs for Living. 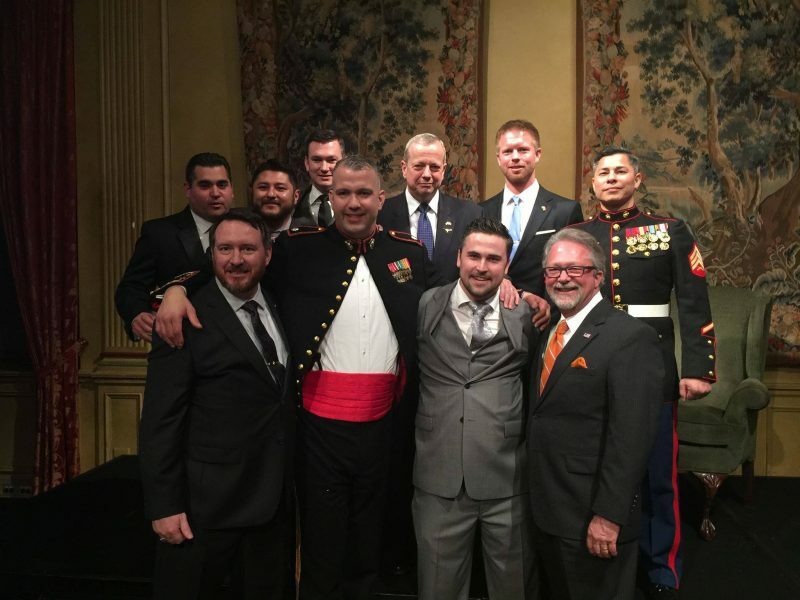 Fifth Annual Cowtown Warriors Ball, Feb. 24, at the Fort Worth Club. The U.S. Marines are all about tradition, so it makes sense that an organization led by 16 Marines and one Army grunt would be formed in a bar. At the Fort Worth Club. 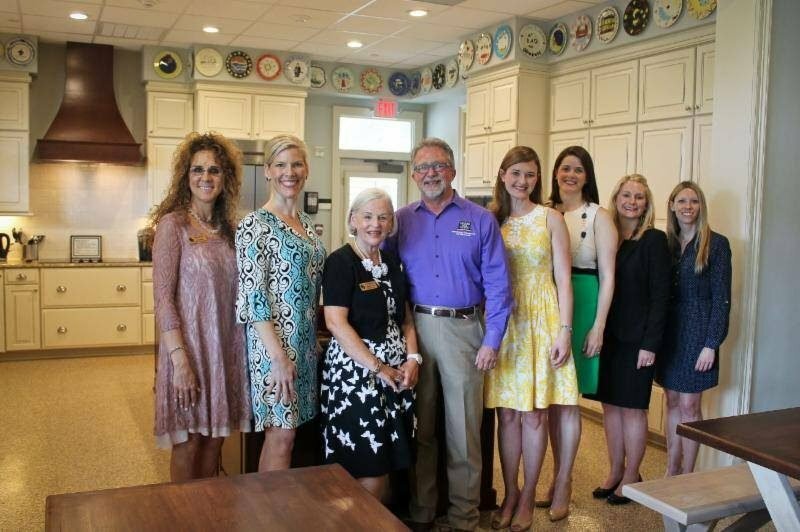 of Designs For Living to act as Advisor as well as Mentor for the 9th Annual Fort Worth Club Junior Mentor Series. 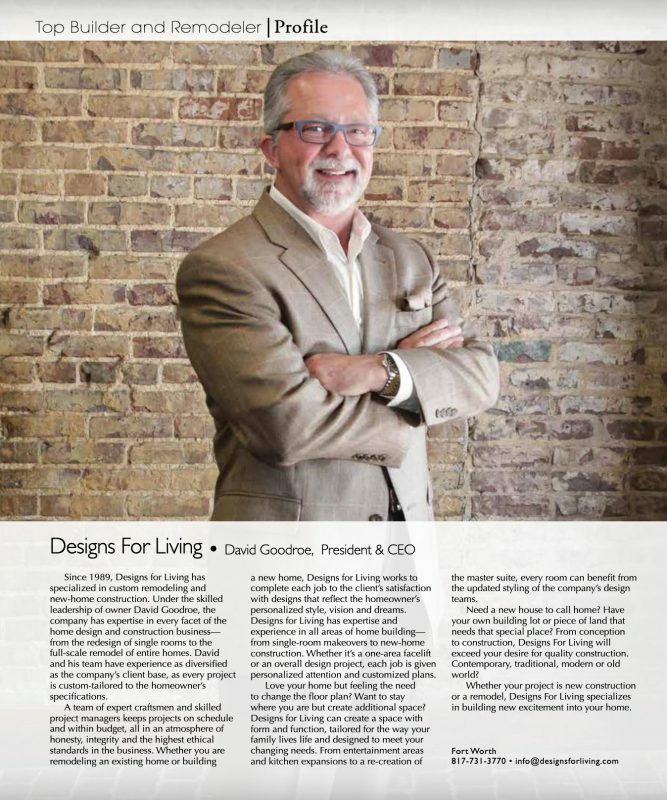 Designs for Living owner, David Goodroe featureed as Building Professional Worth Knowing. 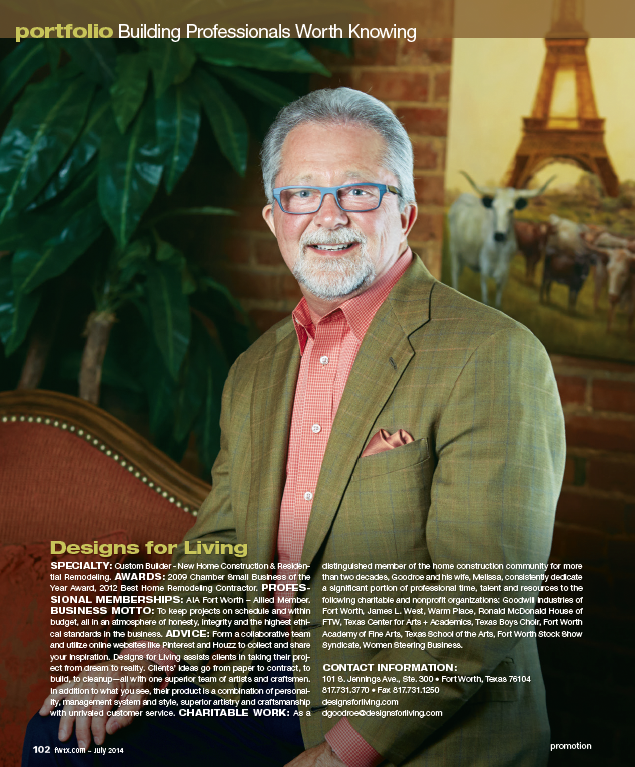 Designs for Living proud to partner with Junior League Fort Worth for this very worthy cause. 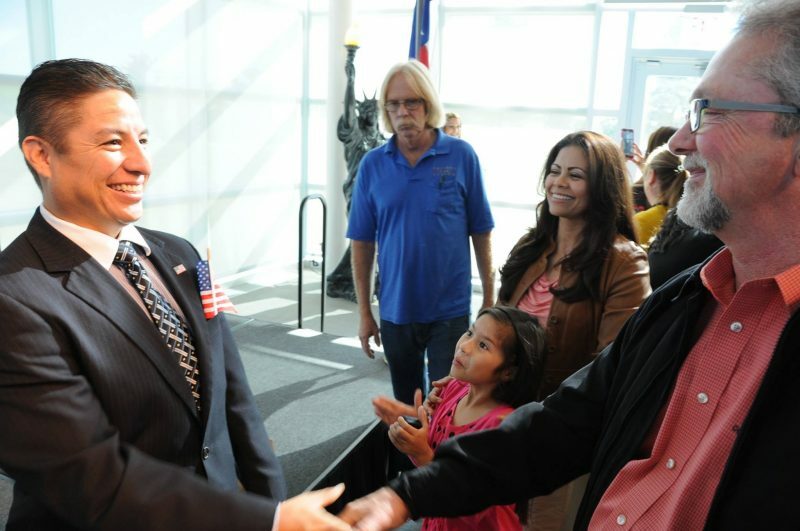 Designs for Living is proud longtime employee’s impeccable work ethics, which have now translated through to his study throughout the citizenship application & testing. 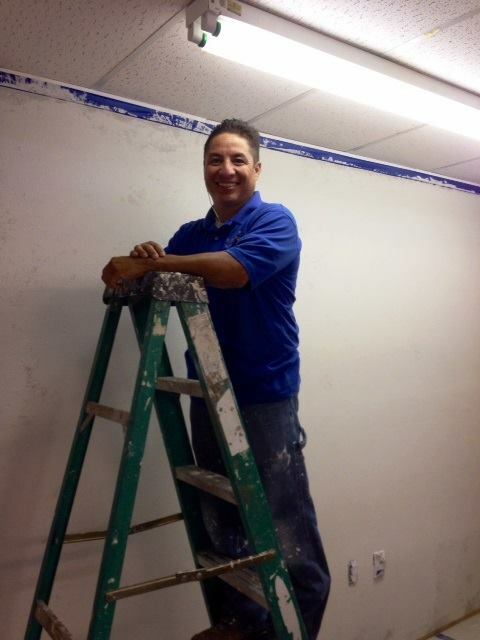 Giving back to our community is one of Designs for Livings’s core values.